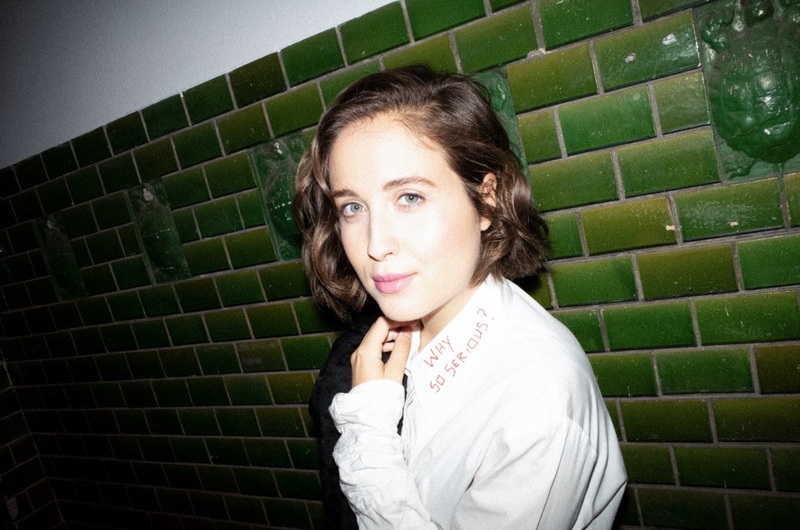 Alice Merton discusses the ins and outs of her radiant debut album ‘MINT’, her unique upbringing, and how songwriting has helped expand and strengthen her sense of self. A lot of the time I don’t really know how I feel about something until I’ve written a song about it. 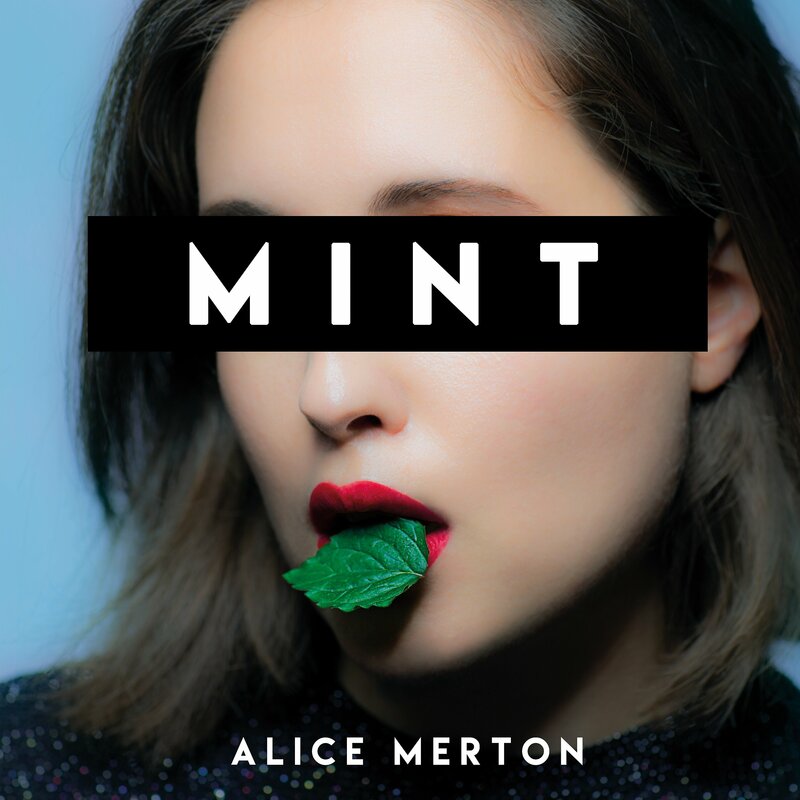 Alice Merton’s debut album MINT is more than an album – it’s a bold, brazen statement of identity fueled by emotion and experience. Irresistible melodies and enchanting hooks dazzle the senses as the 25-year-old singer/songwriter offers a profoundly personal and intimate dive into herself. Merton explores moments of distress and moments of connection, her relationships, and her own history through an eleven-track roller-coaster ride full of excitement and surprise. One of Merton’s greatest assets is her ability to tell stories that are both relatable, yet incredibly personal to her. Breakout single “No Roots,” for example, uses songwriting as a form of therapy in the way it breaks down her feelings of security, insecurity, and connection to people and places. That track’s success alone basically turned Merton into an overnight sensation in Europe, lighting the fire for her career and jettisoning a young artist into the spotlight. 2018’s No Roots EP affirmed Merton’s fast-rising stature with its assortment of memorable and energizing songs, laying (what we will ironically call) the groundwork for her debut album, MINT. Out Friday, January 18 via Merton’s own Paper Plane Records and Mom + Pop Music in the US, MINT is a fresh burst of flavor radiating life, light, and passion. It’s the kind of record you can play on repeat – one whose songs never get old, but rather tend to grow on you like a familiar friend. Merton’s lyrics may center around her world and her personal experiences, yet her words inspire intense emotions and memories in the listener as well. A charismatic and timeless album, MINT is sure to earn a special place in 2019 and the years to come. Atwood Magazine spoke to Alice Merton about MINT, her unique upbringing, and how songwriting has reinforced her identity while helping her discover new things about herself. 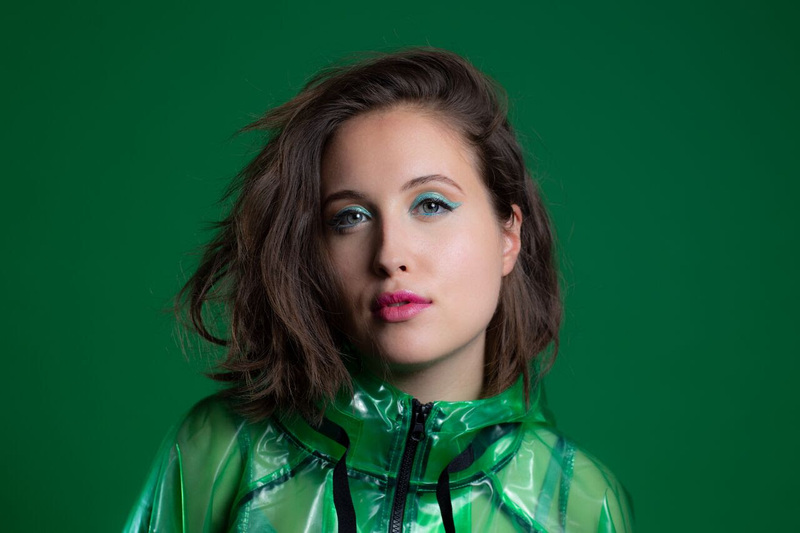 Get to know Alice Merton below, and stream MINT, out now! Atwood Magazine: Alice, your most recent bio has you talking about how “We don’t write songs to be hits, we write songs so we feel good,” and I thought that might be a good place for us to begin. How did you get started writing songs? Merton: How did I get started? Well, I started writing songs at school in my last year – there was a course called songwriting, and I took that course. This was high school, so I was about 17 and in Munich. And I went on to study songwriting, and that was in Mannheim in Germany. That’s basically where it started; and for me, it was always just like… I never expected to have a song that would really become very successful, because for me songwriting is something where I’m like – I like melody. I like hooky melodies – but what I love the most is putting words to a certain rhythm with those melodies, and the words that kind of help me understand things and life or how I feel, because a lot of the time I don’t really know how I feel about something until I’ve written a song about it – like with “No Roots.” I never realized how lost I felt until I wrote that song, but then I was so happy to finally find out that my home was never in one place; it was just with people I love. That’s a really touching sentiment. Merton: Well it’s something that I didn’t realize for a really long time, and then finally when the song was done, I looked back at the words, and I was like, “Oh – that’s interesting!” And it’s the same with a lot of other topics, which I find the most interesting part of songs. I never realized how lost I felt until I wrote that song, but then I was so happy to finally find out that my home was never in one place; it was just with people I love. That’s crazy that you didn’t really start songwriting until you were seventeen. Did you have any other mode of self-expression beforehand? Merton: No. When I was little, when I still lived in Canada, I used to write poems – but I don’t know… I felt very thankful when I discovered songwriting, because there’s a lot that I was going through at that time, whether it was the move to Germany – I didn’t speak the language, so I didn’t really understand anyone – and it was just a hard time. Like, losing friends and then moving again a few years later. So yeah, I was very thankful to have that outlet to express myself. With all the moving back and forth in your life, did you ever consciously pine for environmental stability? Merton: I think, probably – yeah… But I don’t think it’s in my cards. How do you feel that this upbringing relates to your own personal sense of identity? But in anything else, I’m so bad at making up my mind, and I have a thousand thoughts. I think a lot of that is part of my identity and a lot of it has to do with the fact that I’ve never been able to put my feet in the ground. They’re on the ground, but they’re never in it. And it really annoys me sometimes. I feel like I’m missing the stability that would have kept me in line a lot of the times. I have it when it comes to people, which I’m very happy about – but not when it comes to a certain place, and that then affects the relationships I have to certain people. So I love being friends with lots of people, but I don’t know, I have maybe two really good friends, because I always have this fear at the back of my head that’s like, “Don’t get too close. Never get too close.” So I think that definitely has carved my identity. I’m thankful for the people I surround myself with, because my manager, he means the world to me, he’s one of my best friends. Even my band, I’ve had now for five years. So when it comes to music – I wouldn’t even say work – when it comes to music, I really know who I want to keep in my team and who’s really important to me, and I love having that contact to them. But friendships and relationships, it’s just very difficult, because… I can’t… I don’t feel grounded. I don’t feel like I can build the space that’s needed. If you’re touring a lot, it’s just really difficult. Your friends become the ones that are out on the road with you all the time, because they’re like your family! Do you think it's something you want to get in the future? Merton: Those roots? I think it’s wishful thinking, to be honest! I really do! I’ve been telling myself that I really want it – I think I do want it, but I think a part of me doesn’t! I think a part of me knows, like deep down inside, I’m not going to have it – because I’m just so used to this… but obviously, a part of me would love that! I’d love to have that kind of life where you meet the same friends every night for drinks – or not every night, but maybe like once a week. I just don’t think it’s me, though! What were some of your favorite artists growing up? Who, if anyone, inspired you as a kid? Merton: I love Florence and the Machine, Regina Spector… The Killers is probably my biggest, my favorite band of all time. Alan Parsons Project, Queen… yeah! How soon into songwriting did it kind of click for you that there could be more to it, or that this might become something bigger than it was? I guess congratulations are in order, because “No Roots” was recently certified gold in the US – congratulations! Merton: Gold, yeah! I never thought it’d be gold in the US. We’ve been certified seven times platinum in Europe, which is cool, but it’s our first gold in America, which is crazy. When was “No Roots” written, and was that written with the intent of recording it professionally? Merton: Yeah! I went to the studio and I told my producer, whom I’d never worked with before – I told him I wanted to call the song “No Roots,” and I sang him this chorus… and we were like, “it’s too long though,” and he shortened it and put a little “ooh” on it, and then… We just sat on it for a whole day, and it was done! It was the first song we ever did, and that’s why it’s so special to us as well! And that's the song that took off! I think it's so cool that you have put so much of yourself into your music. When I when I hear your songs, it does feel like I hear who you are in MINT. What is the significance of the name MINT for you? Merton: So I was trying to find this one thing that summed up all the experiences I’ve been through in the last three years. I couldn’t find it. I was thiking for like four months and suddenly I just kind of woke up one morning, and no joke I just knew it was supposed to be called MINT! It was the same with a lot of other songs I’ve written, like “No Roots” – I was never like, I need to find the right thing – it’s just like, it’s gonna be a song called “No Roots.” So it was the same thing with MINT, so I just went with it! Merton: – Yeah, but often it’s these things that I don’t notice when it happens. Like I didn’t know why “No Roots” was going to be called “No Roots” at the time. And the same thing was with MINT, I only realized it about a few weeks ago, where I realized that, that one thing that accompanied me through the whole time, that helped me through everything, was actually mint. Like, whether it was mint gum, or mint leaves, or mint tea – I’m drinking peppermint tea now – it literally calms me. I had really big problems in the beginning, because everything happened quite fast in the beginning… It was growing and growing and growing, and I didn’t really understand it, but I think my body understood it – especially with all the traveling. I felt so sick a lot of the time, especially before interviews and before going on stage, that I’d have to either drink mint tea or chew gum, and the only thing that really helped was actually chewing mint gum. That’s why on the cover, it’s my mouth holding a mint leaf in it, because without mint, I think a lot of what I’ve been doing wouldn’t have been possible. It played a big role for me. So music has been your therapy. Merton: Yeah, music has been my therapy – but also mint! I like how you open with “Learn to Live” and just immediately jump into the deep end of life with brazen passion. Why did you choose to begin your record with this song? I feel like I keep hearing little hidden gems in that song. What are your primary instruments? Merton: I mean obviously the usual instruments: Guitar, bass – a lot of bass! – drums… I love going to back to the basics and adding that, but still then adding a few interesting touches that are a little quirky. I love quirkiness. Merton: A good melody; I really like good melodies – but not just a good melody; a song that actually says something! I’m really tired at the moment of love songs. If there’s anything you won’t find on the album, it’s a love song. There’ll be songs about missing home and about putting home into people, or like “Trouble in Paradise” is about a fight I had with my producer. or “2 Kids” is about me, my manager, and my best friend moving to Berlin and starting our own record label in Berlin – because that’s how it started! So I want a good story, and a good melody. I really like good melodies – but not just a good melody; a song that actually says something! You sing, “I never had a love song because they always end, but you caught me off guard and I found a home again” in “Homesick.” Songs like “2 Kids” and “Homesick” bring us really close to you. Merton: “Homesick” is very personal. And in those verses, you really open up! What is it about these anecdotes that resonates with you? Was this a skill that you had to learn as a songwriter, to look into your past and to look into yourself? Merton: No, no, it wasn’t a skill at all to be honest. It was just literally trying to figure out how I feel about something. It was like, I would hear a melody and I’d be like, those are the words that fit that experience that I’ve had! Sometimes I think of MINT as a collection of emotions and the experiences that inspire those emotions. You do this really good job of storytelling, and of expressing why you feel like you don’t have any roots, or why you feel like you should be holding a grudge! Merton: Thank you, yeah the album, if it’s anything, it’s very personal. And it's got such a big fresh pop sound, too! Sometimes I feel like “pop” and “personal” don’t get put into the same category. Merton: No; in fact, a lot of people wouldn’t even consider it pop. I don’t even know what I consider it: Like for me, I don’t even put a name on it. There’s poppy sounds in it, but there’s also a lot of sounds that you wouldn’t hear in American pop music. I make sounds that for me, fit the emotion… and that’s it.